“COPD is a condition that requires careful maintenance to prevent exacerbations (flares) of the disease. If you have COPD, you need a physician who can help you manage medications and prevent flares. As your primary care physician, I will be committed to keeping you as healthy as you can be”. 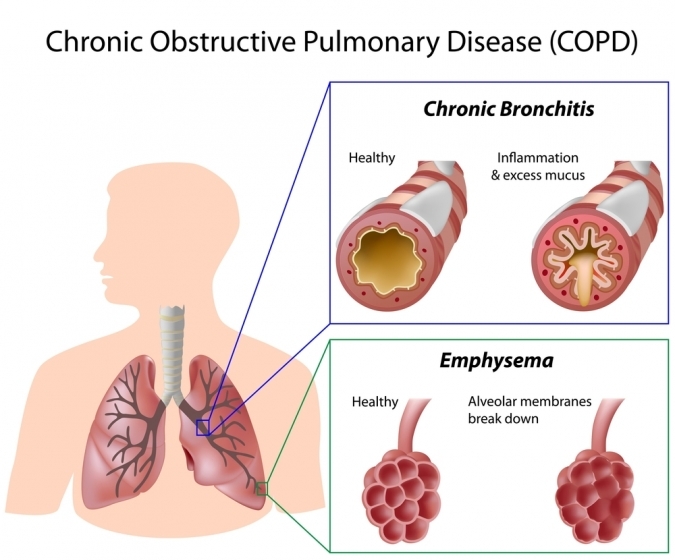 COPD, which stands for chronic obstructive pulmonary disease, is a chronic lung disease that includes emphysema and bronchitis. Some people with COPD have both conditions. Smoking is a major cause of COPD, but non-smokers can also develop COPD. COPD causes damage to your airways which carry oxygen to and from your lungs. Your airways can become swollen and blocked by increased mucous production (bronchitis). In addition, the tiny air sacs in the lungs where oxygen exchange takes place become damaged (emphysema), making it difficult to breathe. I can make the diagnosis of COPD based on my physical examination, a chest x-ray and spirometry, a pulmonary function test which measures how well you can move air into and out of your lungs. Blood tests such as arterial blood gases may also be useful in helping me to make the diagnosis. What can I expect when I come to see you? When you come to see me with breathing concerns, I will first ask you about your past medical history, including any history of lung infections such as pneumonia. 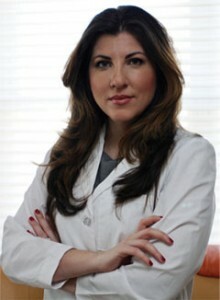 I will ask you about any medications you are taking and also about any allergies you may have. I will also want to know if you have a family history of lung disease such as COPD or asthma. Next I will ask about specific symptoms, such as coughing and shortness of breath. I will need to know if you are always short of breath, or if you are short of breath only when exerting yourself. If you are coughing frequently, are you bringing up any mucous? Do you wheeze when you exert yourself? Do you have frequent colds or chest infections that seem to take a long time before they get better? Do you suffer from chronic fatigue, or have you lost weight unintentionally? I will ask you about your smoking history. Many patients feel the need to downplay their smoking history, or deny it outright. Remember that I am not here to judge, only to help. If you do have COPD, quitting now can make a world of difference in terms of the progression of the disease. I would be happy to discuss quitting options for you, including prescription medications or patches available. Next, I will examine you. I will focus on your heart and lungs, listening carefully to both. People with COPD may have congested lungs or wheezing breath sounds. I will also check your vital signs, including your oxygen saturation. I may order a chest x-ray, spirometry and any other tests I feel are necessary to help me make a diagnosis. First of all, if you are a smoker, I must urge you to quit. It’s never too late to quit! You can dramatically influence the course of your disease by quitting smoking. This fact cannot be emphasized enough. I understand that smoking is perhaps one of the hardest habits to break, and I will be here to support you using whatever tools you need to help you achieve your goal of becoming a non-smoker. You can do it! Medications are used to keep you feeling your best and prevent flare ups of the disease. You may take a daily bronchodilator to keep your airways open and allow you to be at your best. Steroids may be used for exacerbations, and antibiotics may be needed at times if you have a chest infection. It is very important that you understand your medications- what they are used for and how to take them properly. We will spend time together discussing any medications I prescribe. Exercise is important if you have COPD. If you exercise, your heart and lungs benefit, and you may be able to stave off a decline in your breathing. Any kind of exercise is helpful. Walking is very beneficial. We can talk about what types of activities you enjoy and can engage in to maintain your pulmonary health. Some people with chronic diseases such as COPD lose weight because their bodies require more energy to perform normal activities. Eating a healthy diet is important to prevent exacerbations in COPD. You can follow the American Heart Association’s Heart Smart diet. Feel free to ask me any questions about diet and how a healthy diet can benefit you. From time to time you may benefit from seeing a pulmonary specialist. If necessary, I can refer you to a specialist in lung disease, and I can work with you to follow your specialist’s recommendations. It is important that you have one doctor to act as the “gatekeeper” for your health, someone who knows all about you and who you can see regularly for all health concerns, not just those relating to COPD. I would love to be your partner in managing your health. Together, we can help you to enjoy good quality of life and prevent flares. If you are concerned that you may have COPD, or you have COPD and are searching for a primary care physician to oversee your health, please call the clinic to make an appointment today.